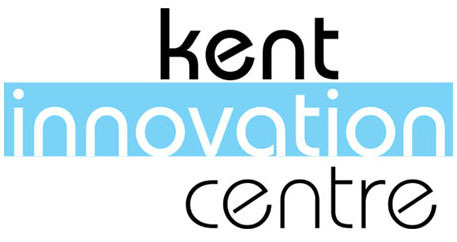 Welcome to the Kent Innovation Centre, the perfect setting for your business. Kent Innovation Centre exists to provide quality office space and support to new and innovative businesses. We offer a range of accommodation solutions from large offices to shared space able to meet your changing needs with easy in, easy out licences. Our philosophy is to provide security and flexible accommodation to licensees. We offer a supportive environment for our clients, with access to shared facilities and services they could not afford individually, enabling licensees to concentrate on business development. All businesses located here benefit from super-fast broadband, integrated telecommunications and great meeting, conference and networking spaces. We have over 50 units, with individual spaces designed for two to ten people. Simple licences, typically terminable on one month’s notice, provide significant flexibility. With plentiful free on-site parking we are located near Westwood Cross in central Thanet, close to Thanet’s new road systems and high speed rail services, and within easy reach of London, the M25 and mainland Europe. Please browse our information below and feel free to contact us with any enquiries. We offer a variety of offices over three floors suitable for 1 to 10 people measuring from 10 to 74 square metres. The rooms have a painted plaster finish, suspended ceilings and are carpeted throughout with all power and data points fitted throughout. Moving in, out and moving between offices as your business grows, is simplified by our easy-in easy-out licence. We recognise that start-up innovative and knowledge based businesses need flexibility and an adaptable and supportive environment to encourage their growth. Provision of comprehensive services allows clients to concentrate on their businesses without the distractions of non-core, property-related issues. At the Kent Innovation Centre you can move easily not just into the building but also between rooms and types of space to meet your changing business needs, using our flexible licence which is 28 day notice in, out and change. Licensees join the centre with a variety of different skills and experience. In addition to using the services of our advisers, licensees can meet and learn from each other and ‘shop’ for services from fellow clients to aid their businesses. The licence package includes a wide range of services and licensees can also benefit from additional services provided at competitive additional charges. Post franking charged at franking rate plus 10% service charge. Recorded, registered and other special items charged at cost plus 15%. Franking charges are significantly cheaper than stamps. We take one month’s deposit and licences are billed monthly in advance. Additional services are invoiced for monthly. Have your own mini office! For the one man band, shared space without long-term commitments or large expenses gives you affordable, flexible space in professional premises. With the Kent Innovation Centre’s Virtual Tenancy service, companies can benefit from the advantages given to our licensees without being physically based there or incurring the cost of renting office space. A virtual tenancy may be ideal for emerging businesses or businesses based overseas or out of area. A credit check disclaimer form will be sent to you for completion. On receipt of this and satisfactory credit check, an information pack and application form will be sent to you. On receipt of your application form and payment your Virtual Tenancy will be set up on the arranged date. The Kent Innovation Centre provides a professional setting for your meeting, conference or training needs with friendly staff to meet and greet your clients. We have two rooms available for hire for both internal and external clients. Light, airy and spacious multi-functional room, perfect for larger functions accommodating up to 30 delegates. A professional meeting room with flexible layout, which can be arranged in different styles ideal for seminars, training and group events that can cater for up to 30 people. Fully equipped with audio-visual equipment, WiFi, whiteboard and a flip chart. A welcoming and light room, the Boardroom is ideal for smaller business meetings and presentations seating up to 12 persons. We have multi-media projector, laptop facilities, flipchart and WiFi available in the rooms. We offer in house teas, coffees and juices, and can put you in touch with local companies who provide a range of catering options. Simply contact the KIC team for information on availability and to discuss your requirements. Should you wish to view the accommodation we have an array of photos we can send through or alternatively a viewing can be arranged. A booking form will be sent out for completion and once returned we will ensure everything is arranged for your event. The Kent Innovation Centre has a prime location in East Kent with onsite parking and good access to London (A299) and Europe (Eurostar from Folkestone & Ashford and ferry crossing from Dover). The centre is a short taxi ride from Ramsgate, Broadstairs and Margate railway stations with its frequent high-speed services to the UK’s main railway network, notably London King’s Cross/St Pancras (90 minutes). The Kent Innovation Centre was built to give full access to the building with a ramp up to the front door and a lift to all floors. Push button access to the front door has recently been installed which provides automated opening of the main entrance door. Safety sensors are fitted which will prevent the door from closing if an obstruction is detected. Accessible toilets are located on each floor and door guards are fitted to fire doors, where needed, which will close automatically in the event of a fire. All disabled clients have personal emergency evacuation plan (PEEP) which is activated in the event of a fire. We actively encourage our customers with any disability to talk to us about how we can improve our facilities to suit their requirements. The clients of The Kent Innovation Centre comprise a wide range of businesses, each contributing unique and specialist skills and knowledge, creating a vibrant community spirit. Our licensees are start-up and early-stage companies operating within a variety of business sectors. Academic Asia International Ltd specialises in the placement of Chinese students in British boarding schools and colleges. Our UK headquarters are in Broadstairs and we also have sales offices in various major cities in China. We also organise regular educational exhibitions in China for British schools and we are the largest agency of its kind in the world, successfully placing several hundred Chinese students in British schools every year. Aspen Healthcare is the owner and operator of four highly regarded private acute hospitals, two cancer centres and three ambulatory day surgery centres. Medical services provided range from outpatient clinics and diagnostic screening to complex surgery and specialised cancer treatments. Aspen Healthcare is committed to excellence and quality in the provision of acute healthcare services in the communities it serves. Our mission statement is to “provide first-class independent healthcare for the local community in a safe, comfortable and welcoming environment; one in which we would be happy to treat our own families”. Assent Building Control are a leading Approved Inspector, licensed by the Construction Industry Council, we provide an alternative to using Local Authority Building Control Services. Once appointed, we will work in partnership with you, to guide you through the Building Regulation Approval process to ensure a successful conclusion to your project. Working with clients, design teams and contractors to help avoid Building Regulations problems. With Assent Building Control, you will not get bogged down in bureaucracy, we are there to provide advice and ideas whenever and wherever you need help. Working with you, not against you. We work with everyone, and deal with projects large and small, from major commercial projects through to domestic extensions and alterations. BTP Ltd is a non-profit organisation working in Thanet. We offer women-only spaces for English language learning and community building. Our project “United Mothers” brings together women from all backgrounds, countries and languages to develop speaking confidence, make friends and learn about local community services. There are two open groups and one in a safe house for women who have been trafficked or are victims of modern-day slavery. We meet weekly in school term times. All groups are completely free and there are no enrolment criteria, exams or fixed courses. Women tell us: “It’s friendly, relaxing, fun and helpful” “It’s better than a few Red Bulls!” and “It’s food for the soul”. It’s a place to learn from, and about, each other. Broadbiz Web Services are a web design company based in Broadstairs, Kent using the most modern internet technologies to deliver high quality, affordable web design onto your customers’ desktops. Website package prices start from as little as £20 per month whilst we also develop and host eCommerce sites and deal with integration of web products from Google, Facebook, Twitter or whatever you need on the internet. Chatterbox Ltd is a supplier of bespoke integrated two-way radio systems. Suppliers and installers of digital and analogue radio communications equipment for hire or sale. We offer simple systems through to complex site solutions incorporating GPS location monitoring. Health and safety issues can be addressed with lone worker and man-down features. Two-way radio systems can improve employee and public health and safety, reduce costs and improve communication in challenging circumstances. Chatterbox systems have provided solutions across a broad range of industries. Based in the south east of England we offer a nationwide service supplying all the leading manufacturers equipment including Hytera, Icom, Motorola and Sepura. The Disability Drop-In Centre (DDIC) provides a free service offering signposting and referrals for people with all disabilities, of all ages, their families, friends and carers. We cover anything from Benefit applications, appeals & calculations, housing support, foodbank vouchers, 1 to 1 support and referrals to Social Services & Porchlight. DDIC are backed by over 600 nationwide organisations with support worldwide where needed. This enables DDIC to cover different issues that clients may have from animal rehoming to work and volunteering. Last year DDIC was happy to support and assist 5925 clients throughout the whole of Kent, other counties and even overseas. East Court Assessments is a Psychological and Educational Assessment service consisting of 2 HCPC* registered Educational Psychologists and an HCPC* registered Speech and Language Therapist. We assess children and adults for learning difficulties, for example dyslexia (reading, writing and spelling difficulties), dyscalculia (maths problems), and a wide variety of educational and learning issues. We can also undertake assessments and therapies relating to speech and language. As well providing advice on teaching and other support our diagnostic assessments our reports can be used for examination access arrangements, DSA student support or Tribunals. Echo Medical Services was launched in January 2009 under the name of Echo Medical & Training and operates over the Kent, Surrey, West Sussex, Essex and London areas. Since that time, we have purchased Active Aid First Aid Training Services and Medic Aid Event Cover and incorporated both their services into our own company. In March 2016, the company was rebranded into the name of Echo Medical Services to make way for new services and the way forward. When the company was started, our aim was to provide an honest professional service within the first aid training industry. Today under the name of Echo Medical Services not much has changed and we still believe in “providing a professional, honest, fast, reliable and caring service”. Training Services: Providing over 40 regulated and non-regulated courses in a range of subjects including first aid, manual handling, fire awareness and medical conditions plus many more. All our training courses can be held onsite at your location, at venues around the County or at KIC in one of our training rooms. Medical Services: Event first aid cover, medical courier, blood & Organ Transportation and more. Domestic Support Services: General cleaning service, washing and ironing, GPS Monitored Alarms, Errands service, Elderly Companionship Service, Elderly & Family Support Service. Medical / First Aid Equipment Supplies: First aid kits, defibrillators (AED’s), advance medical equipment and books. Operating from 50 centres across England our extensive hospitality sector experience means that we understand the needs of both the employer and the student. HIT’s award winning trainer-assessors are highly experienced in helping businesses to upskill staff, increase service offerings and maximise margins with experience in motivating, developing and retaining staff. Home-Start offers early intervention support to parents with young children throughout Thanet. Established in 1987 we have delivered bespoke packages of support to local parents juggling the demands of parenting often increased by other issues impacting on family life. We offer a unique service directly into the family’s homes, where we get to meet and assess the real issues, and together with the parents design a bespoke package of support which is offered weekly for up to 6 months. We also provide group support into local primary schools and now have developed one to one emotional support to parents requiring more focused support. King’s is a non-denominational institution providing innovative and competitively-priced theological studies by open and distance learning. Courses include our Bachelor of Theology, Graduate Diploma and Master of Arts programmes which are validated by the University of Chester. King’s utilises innovations and developments in technology to deliver courses and emphasise a strongly interactive online learning experience, while the school’s innovative eCampus provide students with a range of resources in various media formats to enable them to complete their studies. New City Media are consultants specialising in the development and implementation of AV (Audio Visual) control systems for corporate and educational environments, and the wireless transmission of HD (High Definition) video within conference facilities. Ocean Signal is a worldwide leader in the design and manufacture of Satellite and Terrestrial Emergency Rescue Beacons based upon VHF/UHF, Iridium, DSC, AIS, GNSS and battery technologies. Supplying products throughout the world to four main markets: – Commercial Marine, Leisure Marine, Governmental/Military and Land/Recreational. Continued growth and expansion of our capability at our Westwood site has necessitated the R&D team to move to the KIC. The Ocean Signal R&D team have designed and developed many market leading products and now, as part of the ACR Electronics Group, the Ocean Signal team have taken on responsibility for Land and Marine products within the group, our vision is to provide the very best communication and safety products for today’s mariners. Through more than 10 Years of continued innovative design, development and testing Ocean Signal has developed and delivered a world class portfolio of products onto the market. The portfolio of Ocean Signal products are designed to meet or exceed the technical requirements of the International Maritime Organisation (SOLAS), International Electrotechnical Commission standards, European Directives and Decisions, United States Coastguard standards as well as many other applicable national and international rules. We are Palm Deaf. We are a limited company “Palm Deaf BSL Training Ltd’ and also a Community Interest Company (not for profit) ‘Palm Deaf Community Services’. Palm Deaf BSL Training provides training services in Deaf Awareness and British Sign Language to help communicate with people who are Deaf or who have a hearing loss, or to people who are interested in learning a new language. We offer accredited Signature courses that can either be delivered from our training room here at the KIC, or we can bring our expertise and experience to you and deliver courses ‘in-house’. We deliver BSL training from Level 1 right through to Level 6. British Sign Language is not only fun to learn, but is also a great addition to any CV when applying for jobs. Palm Deaf Community Services is our passion and has been set up so that we can help the Deaf community. We have a great desire to do what we can to help and support them. We therefore apply for grants and funding that help us to dedicate certain services to the local Deaf community ensuring that they have better access to employment opportunities and the community around them. This enables us to provide employability, numeracy, literacy and language development workshops. It also means that we can provide employment opportunities for Deaf people that are then able to support other Deaf people that need help to take part in work experience placements and volunteer work. This in turn promotes ‘forward giving’ in the local community. Since 2008 Profile Development and Training has been delivering high-quality training across Kent and the South East. Specialising in work-based training, our mission is to provide relevant, cost-effective training for companies and individuals, enabling them to realise their full potential in the work place. Accessing government funding, where available, to keep our customers’ costs down, we offer apprenticeships in IT, Supporting Teaching and Learning, Business and Administration, Social Media and Digital Marketing and Customer Service. Where our customers require bespoke training programmes, we work with them to provide the training that is right for them. Red House Mortgages is a new mortgage and protection advice company. We have listened to our customers and adapted our business model to meet their needs. We approach this area of advice differently to most other companies. We offer flexible appointment times, and are able to visit customers in their own homes to make this process a lot easier and more relaxing for them. With the combined experience of 200+ years, we work together as a team to help solve your loading rack problems. And unlike other companies, when you call SafeRack you’ll always be greeted by a live person who can help answer your questions. We pride ourselves on one-on-one customer service and we believe that your will notice the difference. achieve balance, tranquillity, health and wellbeing – at competitive prices! from Cancer and other life altering conditions. Skytag are now the largest independent stolen vehicle recovery company in the UK, providing state of the art location equipment to recover your property quickly and efficiently. With a 100% recovery and an 11 minutes fastest record, they are proud to offer a service second to none. With unique features like monthly operation checks and direct police access to live location information. The Skytag device is a very small covert unit designed to be hidden in a vehicle, self- instillation enhances the covert nature of the product as everyone will put it somewhere different, making it virtually impossible to find, this also reduces costs and makes the unit easily transferable from vehicle to vehicle with no charges. Spring Associate Management are specialists in the management of not-for-profit organisations, providing all the administrative functions including secretariat, organisation of exhibitions, conferences, seminars, membership administration, banking, newsletters (both paper and electronic) website maintenance, bookkeeping and management accounting. Thanet Safe Ltd is part of a national body of Business Crime Reduction Partnerships (BCRP), we work closely with the Police and Thanet District Council’s CCTV. Thanet Safe Ltd is a two way radio hire and information sharing scheme where we, along with our members endeavour to detect and prevent retail crime and anti-social behaviour 24 hours a day. We provide and facilitate information between our members and other agencies to good effect and host various seminars throughout the year to our members on topics such as Cyber Crime, Counter Terrorism and Travelling Gangs. We are the Thanet Volunteer Bureau and we are dedicated to supporting local voluntary organisations, and individuals and groups of people interested in volunteering within our community. We are a registered charity and company limited by guarantee. In 2017 we gained national recognition for the work we do, when we were awarded Volunteer Centre Quality Accreditation by the National Council for Voluntary Organisations (NCVO). Thanet Community Support Partnership (TCSP) – we are Lead Partners of TCSP, a group of 13 well-respected organisations working to improve the lives of older people in Thanet. We provide a one-stop-shop referrals service to help older adults access the services they need from our TCSP Partners. We also deliver services ourselves, including: the Thanet Good Neighbours Service; “Your Time” – our social activity afternoons; and the Thanet Over Fifties Forum (TOFFs). Our recent move to the Kent Innovation Centre will undoubtedly enable us to build on the top-quality services we currently offer. Three R’s Teacher Recruitment specialise in the recruitment of teachers for Schools in Kent. We provide a recruitment service to teachers who are seeking either supply or permanent work and we provide placements in Primary, Secondary, Independent and Special Education Schools. We have been established since 2001 and have additional offices in Ashford, Tunbridge Wells, Medway and Dartford. We operate a 24 hour on call service and can be contacted for any emergency supply on 0345 130 3338. UHY Hacker Young is one of the top firms of chartered accountants based in Kent. UHY can assist with traditional accountancy and taxation services from bookkeeping to auditing and from self assessment to corporate tax returns. Other specialisms include providing accountancy services to the not for profit sector and the legal profession. In particular UHY Hacker Young is proud to be working with many Academy Schools located in Kent. Auto enrolment is fast approaching for many businesses, UHY are able to offer a fixed fee for assisting businesses to set up an appropriate scheme and can provide a fixed fee quote for running payroll. We are copier and print solutions provider with 28 years in the industry and now based in the Kent Innovation Centre. WBS can provide the best print solution for your business. WBS are different because we come from a service background and have very high standards and as we have to maintain the devices we know what we are talking about. Working with new technology, products and the right solutions, when working with us you will experience the “Service with a difference”. We also offer Graphic Design and Typesetting services with 19 years’ experience, from logos to stationery and magazine. Our business is to make your business look good. Wavelength Electronics Limited: Manufacturers representatives. Wavelength Power: Power Supplies, Rechargeable Battery Systems, Capacitors and Wound Magnetics. Wavelength High Reliability: Quartz Crystal Oscillators and passive components for Avionics and Aerospace. Wavelength Man Machine Interface: Display/Keyboard/Mouse assemblies Switches and Keypads. Wavelength RF and Microwave: Quartz Crystal Oscillators and Filters, Connectors and RF inductors. One of the centres most successful companies has recently moved on after being a licencee here for five years. Aquaread Ltd who are now a market leader in their field grew their business dramatically in their time at KIC, starting with just one office they went on to win multi business awards for innovation and they now continue their success in their own premises. “We were licensees at the Kent Innovation Centre for over 10 years whilst our business grew and become established in the area. During those early years of setting up a business we needed to know our office was secure and internet access was reliable in order to maintain our business without interruption. The flexibility offered by the KIC enabled us to grow and become a professional company with professional business facilities. The KIC were able to fulfill our every requirement over the years. As our business grew we increased the occupancy size of our office within the KIC without the concerns of a long term lease. We were recently able to purchase and refurbish our own premises which enabled us to move out of the KIC making way for new companies to apply for office space and establish their businesses using the the great facilities afforded by the KIC.